Would you like to apply your anthropological skills and gain academic credit? If so, then the fourth year ANTH 4130 6.0 The Professional Anthropologist: Work-Study Placement course is for you. This year-long course offers you the opportunity to conduct research and/or volunteer with a range of host organizations such as NGOs, hospitals, immigration agencies, homeless shelters, corporations and other service organizations that are approved by the department of Anthropology. You will engage in experiential learning and community-engaged research under the guidance of a course director. You are required to identify issues that you intend to explore during your placement before starting the experiential learning opportunity. The placement must include at least 100 hours of work or volunteer activities over the academic year. Registration for this course requires the permission of the instructor and an approved placement site. Spots will be reserved for students who are enrolled in the Advocacy and Public Engagement Minor or Certificate program. An open interview will be conducted before Fall online registration begins. This course is restricted to third and fourth-year Anthropology students who have completed ANTH 3110 6.0. Please contact the Anthropology Department Chair for registration details: chranth@yorku.ca. 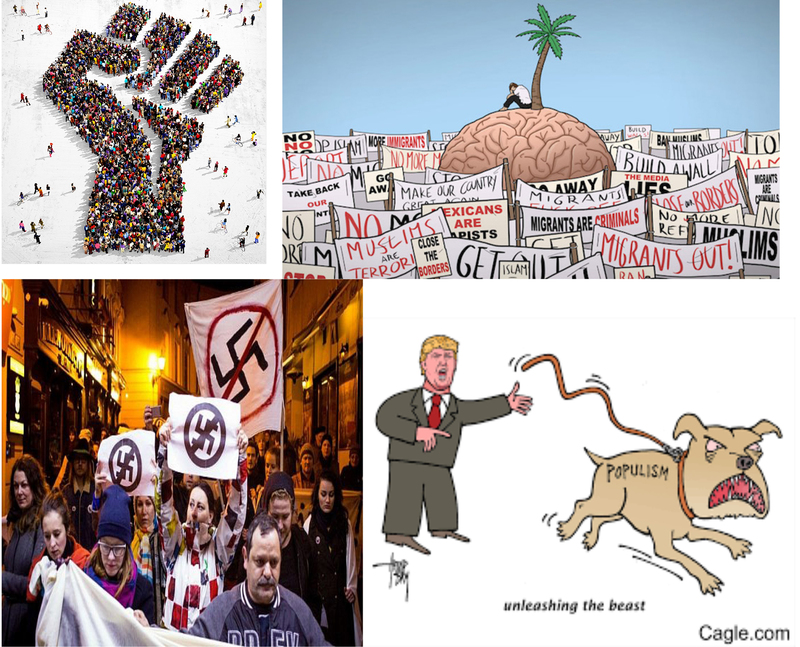 The focus of this course is populism, a concept that has generated a great deal of discussion and debate in media, academic circles and in everyday conversation. It has been used to describe authoritarian populist leaders including Trump in the U.S., Erdogan in Turkey, and radical right wing political parties such as Pegida in Germany, as well as white nationalism and anti-immigration movements. But the adjective “populist” is also applied to anti-capitalist, anarchist, counter-cultural and social justice movements like Occupy and Black Lives Matter, The rise of what is referred to the ‘extreme right’ or alt-right’, ‘alt-left’ and the ‘f-word’- fascism, requires careful analysis. There are many explanations for the rise in populism – globalization and the widening gap in wealth, the impacts of climate change, war and conflict, dislocation and uncertainty. Our first goal is to understand the conditions that give rise to the emergence of populist movements. A second goal is to unpack the complex relationships between the rise of populism and the socio-political processes that are at their core. We use an anthropological lens - conceptually and ethnographically - to investigate the appeal of these movements to people who mobilize, vote for, protest and agitate for social, political and economic goals. 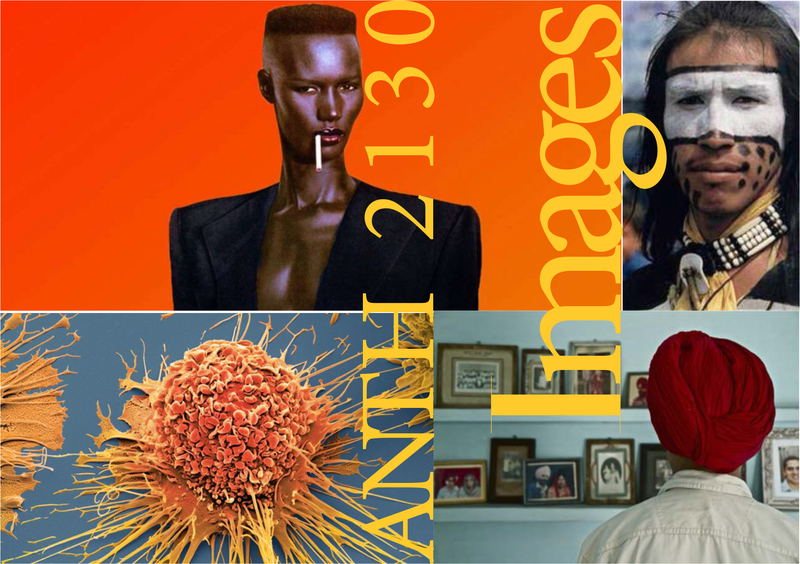 This course uses film, video, visual art, photography and new media to explores race, ethnicity, nationality, globalization, power, authority, politics, religion, gender, class, and sexuality. Drawing upon images produced by anthropologists, journalists, filmmakers, photographers and artists, the course asks questions about how images and visual technologies that can look deep into our bodies as well as far out into space are challenging our understandings of self, community and other. The course incorporates blended (internet-based) and experiential learning alongside class lectures. The course assessment includes the production of an image-based scrapbook (online/paper based). Advocacy and public engagement examines how to take the methods and insights of scholarship outside the walls of colleges and universities. 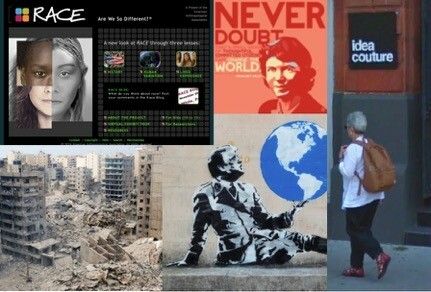 Anthropologists and other publicly engaged scholars choose to work on problems and issues of concern to citizens and communities, most often in collaboration with others. This course explores the challenges of different roles of advocacy, activism, and collaboration. Numerous examples are examined, including the engagements of scholars who have worked internationally, in their own neighbourhoods, and with a range of organizations from small community groups to trans-national networks and international bodies. 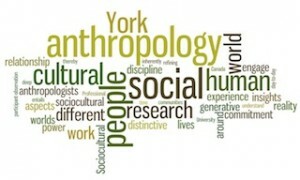 A second aspect of the course explores the history and practice of public and applied research in anthropology, and how anthropologists have advocated, resisted and engaged with topics such as war, racism, colonialism and healthcare. A third aspects of the course involves developing skills useful for public engagement and media outreach including increasing your collaboration proficiencies, creating effective and concise messaging strategies, and acquiring confidence in media interviews. Experiential learning and skills training are active components of the course incorporated into individual and group projects on current topics. Students hear from anthropologists who practice advocacy and public engagement or visit them in the field. In 2017-2018, students visited Idea Couture, a digital innovation and design firm that prominently employs anthropologists in the designing of products, services and business models. Students also participated in the Community Action online project that draws together thousands of students at North American universities together into an intellectual community to engage with a contemporary cultural issue. This full-year course can be taken as a complement to your program, or as a required course for a minor or certificate in advocacy and public engagement.